"We got a flying elephant. C'mon! How much more fun can you have?" Danny DeVito exclaims in this exclusive featurette looking at the making of the upcoming live-action Dumbo. "I loved the original version. This is a new, modern take on it," says Eva Green, who plays Collette the aerialist. DeVito, co-starring as the owner of Medici Bros. Circus, explains, "The original ends with the elephant flying, and this version begins with that." 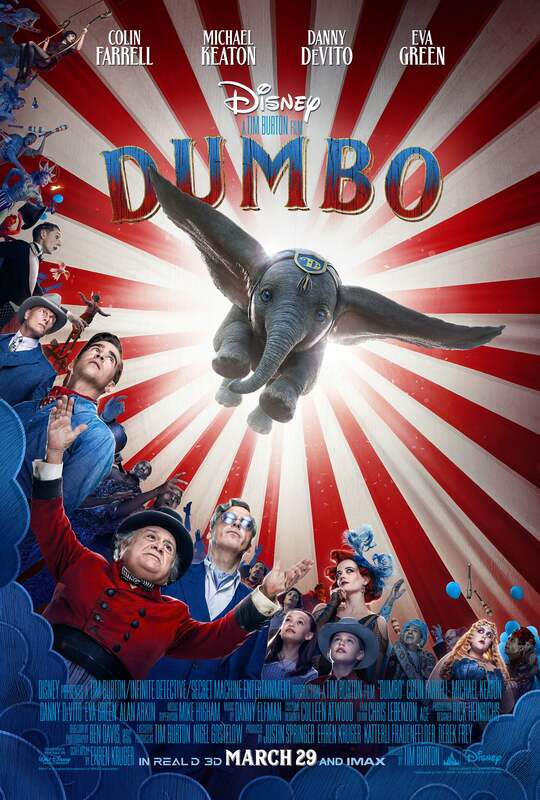 This sneak peek includes brand-new footage from director Tim Burton's retelling -- the story of a fading circus star (Colin Farrell) and his children (Nico Parker and Finley Hobbins) who are brought together by the birth of the titular flying pachyderm -- and a look behind-the-scenes at the magical sets, colorful costumes and dazzling jugglers, tumblers and other performers. "It's such a powerful, universal story. You don't need to be perfect to be loved," Green says of the film's heartfelt message. "It reaffirms that individuality is a good thing," Farrell adds, while DeVito simply says: "We need this movie right now." Dumbo flies into theaters on March 29.